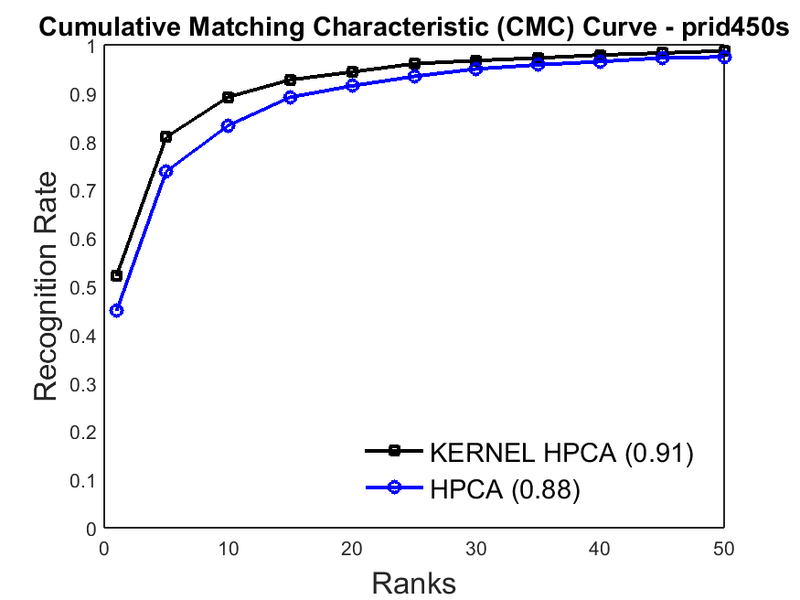 Kernel HPCA is a nonlinear extension of Hierarchical PCA (HPCA). 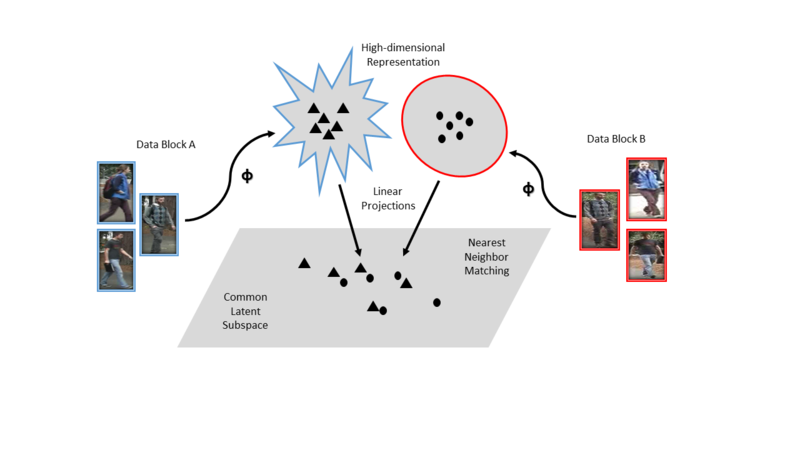 HPCA is known in chemometrics as a multiblock multivariate model. However, it is a linear model, while person Re-ID is a nonlinear problem due to the appearance changes caused by different camera conditions. Therefore, we proposed a straightfoward nonlinear extension of HPCA method. To the best of our knowledge, our work is the first nonlinear extension of HPCA. Furthermore, our experimental results demonstrate that Kernel HPCA is comparable with state-of-the-art nonlinear subspace learning methods (e.g., KCCA) while requiring fewer dimensions. This code obtained the following results in the VIPeR and the PRID450S datasets. We used a common procedure in literature to achieve more stable results in VIPeR and PRID450S which consists in randomly partitioning the dataset in training and testing subsets of equal sizes (these partitions are available with the code). In the testing subset, images from one camera are considered as gallery and images from the other camera are considered as probe. The results are reported using Cumulated Matching Characteristic (CMC) curves showing the average of results obtained from 10 trials. The following CMC curves presents the results for PRID450S (first column) and VIPER (second column) using HPCA and Kernel HPCA methods. If you use the code or parts of it, please cite the following paper. Prates, Raphael; Schwartz, William Robson (2016): Kernel Hierarchical PCA for Person Re-Identification. In: IAPR International Conference on Pattern Recognition (ICPR), 2016.